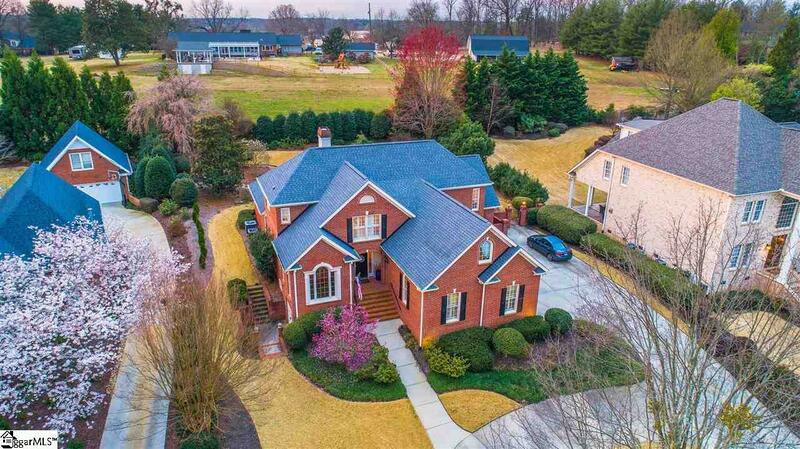 Fabulous all brick Southern Elegance! 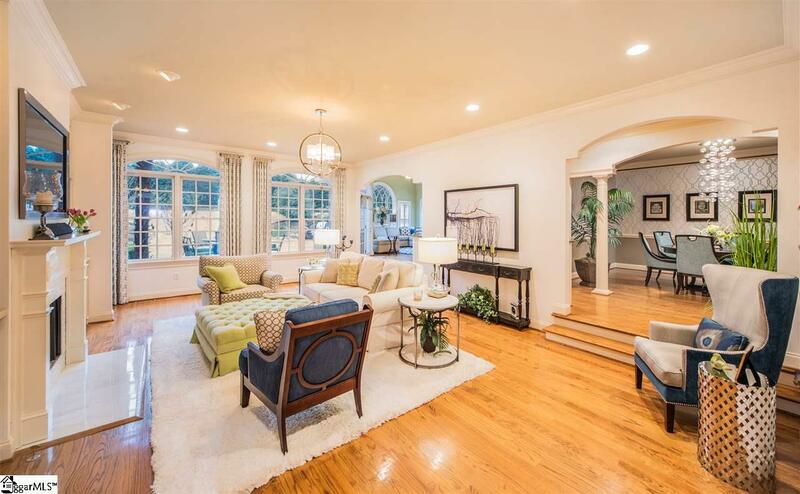 This impeccably maintained and updated home offers a great floor plan and luxury features to impress the most discriminating buyer. Space exudes in this custom built beauty. One must visit this home to appreciate the abundance of space and detail. It was built for living and entertaining offering an open kitchen with granite counters, a great room featuring custom built-ins flanking a fireplace with gas logs and a built-in television above the mantle. The well-appointed Kitchen is the true heart of this home! It is centrally located and offers abundant custom cabinetry accented by top quality granite, a tumbled travertine backsplash, stainless steel appliances, and a functional layout providing plenty of workspace, stylish lighting, and a counter where friends can gather and chat. 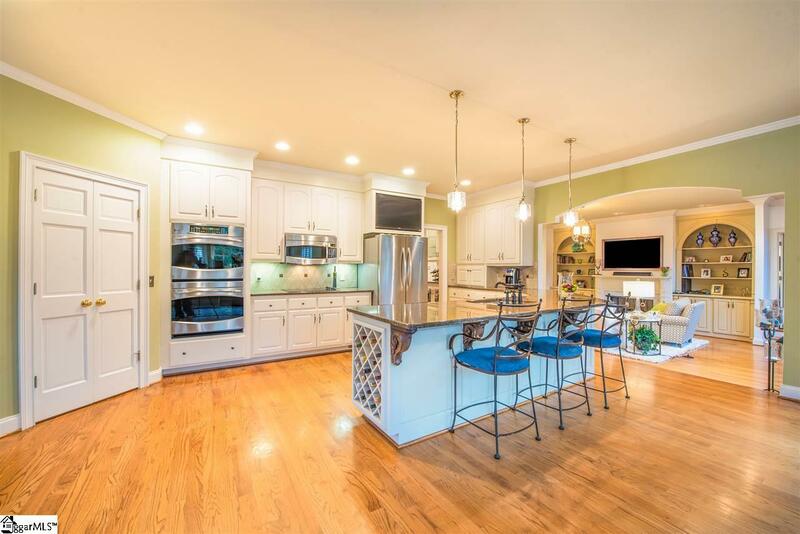 A comfortable Breakfast Area adjoins the Kitchen along with a delightful and sunny Keeping Room with a vaulted ceiling and arched windows overlooking the backyard water feature. On the main level, you'll also find a sizeable and elegant Formal Dining Room, a private Home Office, and a convenient powder room. Also on the main level, you cant miss the exceptional Master Suite styled with a tray ceiling, His & Her custom walk-in closets, His & Her granite vanities, a dry sauna, and a walk-in tile shower with a glass enclosure. Simply heaven on earth! A large Bonus Room/Media Room awaits you upstairs along three spacious secondary bedrooms, and two full baths with one being a Jack-and-Jill style bath. Impressive details continue outside. At the rear of the home, you will find a walk-in workshop/storage area and a private backyard that provides a park-like setting with a delightful brick patio, a variety of seasonal plantings and a soothing waterfall flowing into a lovely stone ornamental pond. A circular drive adorns the front lawn and provides off street parking for guests, and a separate drive leads to the oversized 3-car side-entry garage with remote access. Key features of the home include a private backyard, a walk-in workshop, and a dry bar. Amazing additions and upgrades by the current homeowners include: powder room renovation and french doors added to the office in 2015; Pond renovation and updated backyard landscaping in 2016; Laundry room renovation with tile floors, master bath renovations, installation of a dry sauna, new first floor lighting, and remodeled dining room in 2017; new roof, gutters, and downspouts in 2018, and new carpet installed upstairs in 2019. 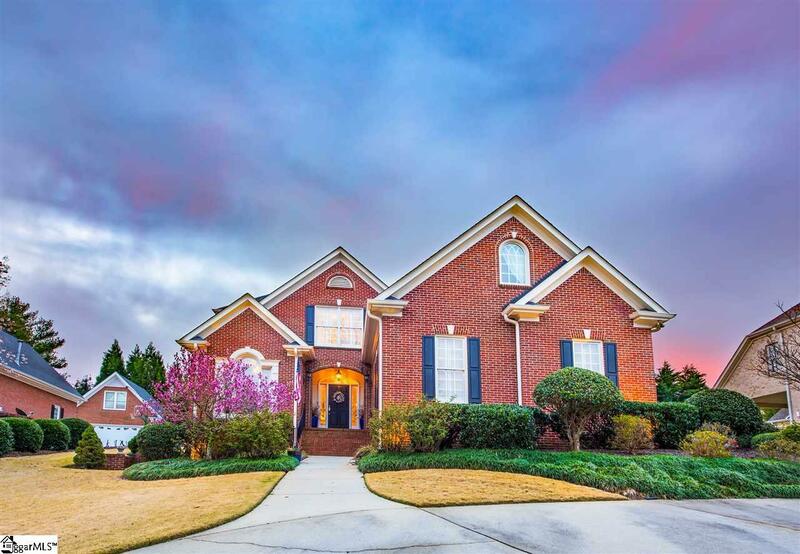 This fabulous home is located in one of Greenvilles most prestigious golf communities and is convenient to I-85, shopping, dining, highly rated schools, and so much more. Do not let this one slip away! It will not last long! Please schedule a showing appointment today!